“My name is” Jeff Thompson. In 1966, I was seven years old, and what a fantastic year for television 1966 was! Fifty years ago, the three TV networks premiered Batman, The Girl from U.N.C.L.E., The Green Hornet, It’s About Time, Mission: Impossible, The Monkees, That Girl, The Time Tunnel, Star Trek, and, of course, Dark Shadows. Many of those classic shows are back on our TV screens today by way of DVDs, Netflix, and the dozen new nostalgia TV channels, such as Retro TV, Decades, and ME-TV. 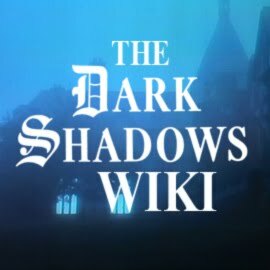 I saw the actual telecasts of the first episodes of Batman and many of those TV shows mentioned above, but I am sorry to say that I came to Dark Shadows late. It was not until Friday 22 September 1967 when I, a second-grader, was home sick from school and happened to be turning the TV dial among the three commercial networks and NET. I stumbled upon Dark Shadows—and the first scene that I ever saw is the first scene on the 1989 MPI Home Video VHS tape The Best of Dark Shadows. Lying in his bed, David Collins dreams that he and Sarah are in the basement of the Old House. 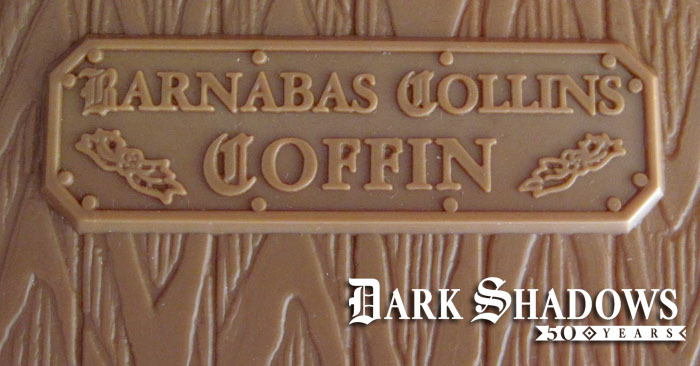 The children spy a coffin, whose lid creaks open, and out comes the vampire Barnabas Collins. Needless to say, I was hooked instantly! 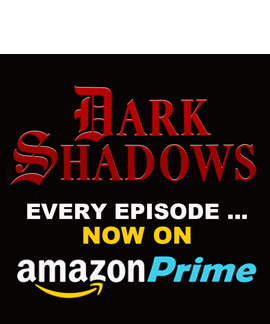 Seeing kids my own age in an old, dark house inhabited by a vampire sold me on Dark Shadows, and I have been a diehard fan ever since. F.I.A.W.O.L. (Fandom Is A Way Of Life)! Dark Shadows immediately captivated me and began my lifelong interests in writing, acting, history, film music, and time travel. 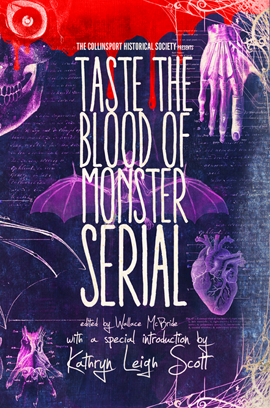 My favorite characters were Barnabas, Julia, Nicholas, Angelique, Stokes, Maggie, and Quentin. I liked all of the various time periods, but my favorites were 1967, 1795, 1968, 1970 Parallel Time, 1840, and 1841 Parallel Time. The astonishing, two-week-long 1995 interlude (seen 20-31 July 1970) made a huge impression on me and began my lifelong fascination with ruins. 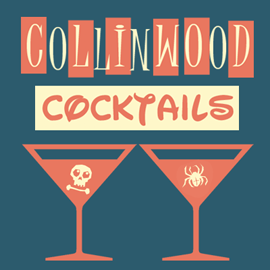 Seeing Collinwood in ruins shocked me—just as seeing Julia imprisoned by Angelique in the sub-basement of Collinwood during 1970 Parallel Time had shocked and upset me. I always wanted Barnabas to love Julia, so I am glad that—according to writer Sam Hall in TV Guide—he finally did. 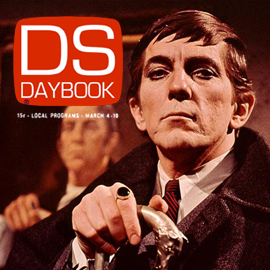 In the late 1960s and early 1970s, I ran home from school to watch Dark Shadows at 3:30 PM Nashville time on WSIX-TV 8 (ABC). When the show moved to 3:00, I was not home from school yet, so my mother Sonia Thompson, also a fan, watched the show and told me about the episode (in those pre-VCR days). Then, I began reading Dan “Marilyn” Ross’s 32 Gothic novels based on Dark Shadows, as well as his House of Dark Shadows novelization and many of Ross’s other Gothic, historical, and romance novels. Over the decades, I read 120 of Dan Ross’s 358 novels; I used three of his 600 short stories in my English classes at Tennessee State University; and I wrote my master’s thesis (TSU, 1991) about four of Ross’s finest historical-romance novels (including China Shadow and Moscow Mists). I met and became friends with Dan “Clarissa” Ross (1912-1995), and I still keep in touch with his widow, Marilyn Ross, who lives in Canada. Also during, and just after, the run of Dark Shadows on ABC-TV, I read Gold Key Comics’ 35 issues of Dark Shadows, as well as the one-shot Dark Shadows Story Digest Magazine. I wrote letters to Gold Key editor Wallace I. 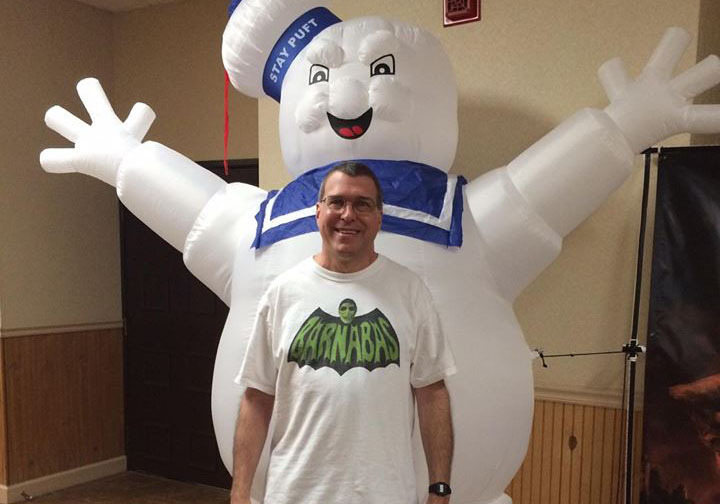 Green (expressing my pleasure or my displeasure over particular issues of the comic book), and I later wrote two editions (1984, 1988) of my own fan-press book critiquing the comics. 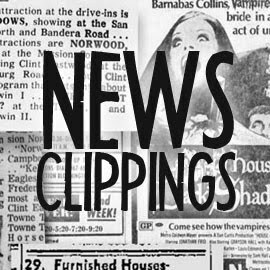 I spent the later 1970s, as well as the 1980s and some of the 1990s, writing articles for Kathy Resch’s World of Dark Shadows fanzine, as well as other ‘zines such as The Collinsport Call, Collinwood Revisited, Lone Star Shadows, The Parallel Times, Shadows of the Night, and ten others. I also was enjoying my large collection of Dark Shadows memorabilia, as well as adding to my collection through mail orders, garage sales, and other means (in those pre-Internet, pre-eBay days). As Barnabas Collins in a Collinsport Players production at the Dark Shadows Festival. 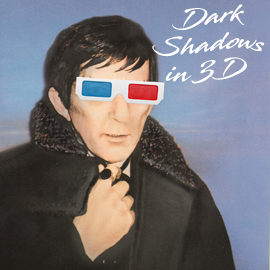 In 1983, I began attending the Dark Shadows Festival fan conventions held yearly in Newark, Los Angeles, New York City, and occasionally elsewhere. 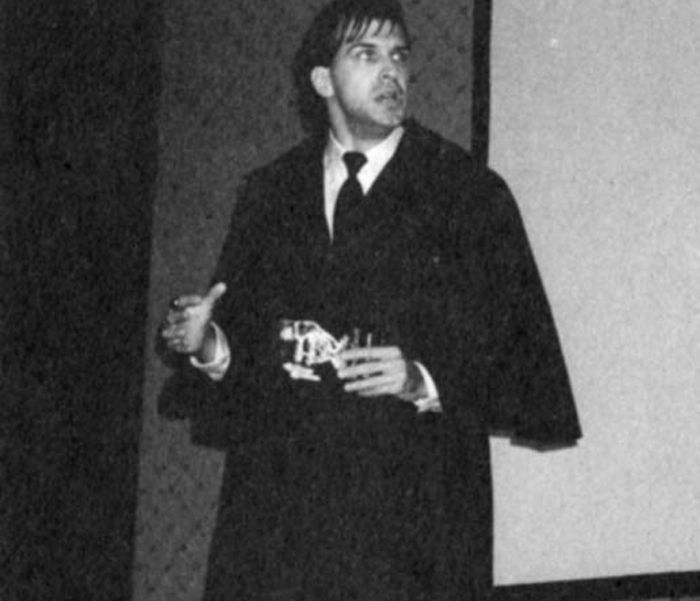 I served as the emcee of many of the conventions, and I wrote humorous one-act plays based on Dark Shadows to be performed there by other fans and me. We called ourselves the Collinsport Players. Also for the Festivals, I turned my Dark Shadows collection into The Dark Shadows Memorabilia Slide Show, and (in 1985) Mr. & Mrs. Ross and I presented An Evening with Marilyn and Dan Ross. Also in the eighties, as a result of my attending the Dark Shadows Festivals, I met and became pen pals and friends with Dark Shadows fans from all over the country. I corresponded with them all year long and then saw them in person at the conventions. Occasionally, a fan-friend and I would visit each other’s hometown or meet up at another convention such as Fanex in Baltimore, Maryland. A few of my pen pals and I still write letters to each other, but most of us keep up with each other via e-mail and Facebook. In the 2000s, I continued to teach English at Tennessee State University (where I have taught since 1985) while I was working on my Ph.D. (in English and popular culture) at Middle Tennessee State University. I wrote my doctoral dissertation (MTSU, 2007) about Dark Shadows creator Dan Curtis’s horror productions. 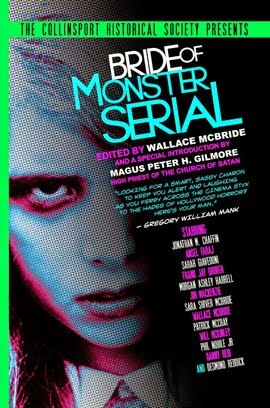 I also wrote entries about five of Curtis’s horror movies (including Night of Dark Shadows and Trilogy of Terror) for a 2008 Midnight Marquee multi-author book, You’re Next! 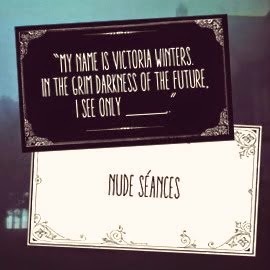 Loss of Identity in the Horror Film. 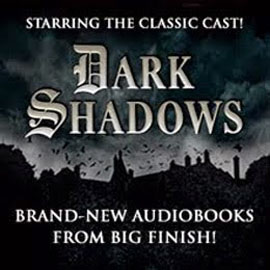 In the 2010s, I enthusiastically wrote the introductions to eight Dark Shadows-related books published by Hermes Press. Five of the books together reprinted all 35 issues of Gold Key’s Dark Shadows comic book; another one was a best-of book reprinting the twelve best Dark Shadows issues, as chosen by Hermes publisher Daniel Herman and me; still another reprinted the aforementioned Story Digest Magazine; and the last book, yet to be released, reprints the 1971-1972 Dark Shadows newspaper comic strip. My memorabilia collection includes Kenneth Bruce Bald’s original art for one daily strip (9-18-1971) and one Sunday strip (2-6-1972). The framed artwork hangs in the Dark Shadows room. 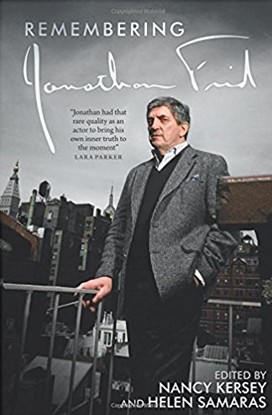 Later in the 2010s, I wrote single chapters for the multi-author books Fan Culture and Remembering Jonathan Frid, as well as for three multi-author books that will be released in 2017 or 2018—Finale: Considering the Ends of Television Series (I wrote about the 2 April 1971 final episode of Dark Shadows); TV’s Top Male Icons of the 1950s, 1960s, and 1970s (I wrote about Jonathan Frid, David Selby, Adam West, and nine other TV stars); and an untitled book about Dr. Jekyll and Mr. Hyde in literature, film, television, and comic books (I wrote about the Jekyll & Hyde TV productions starring Michael Rennie, Jack Palance, and Michael Caine). Plus, I associate-produced the 2-CD set of Robert Cobert’s music for the 1991 Dark Shadows revival series, and I associate-produced-and wrote the liner notes for—the soundtrack CDs of Cobert’s music for Burnt Offerings (Counterpoint, 2011) and Dracula (Varese Sarabande, 2014). 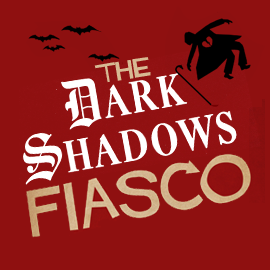 The latest way that Dark Shadows has affected my life is in my moving beyond writing single chapters (for books about Peter Lorre, Peter Cushing, loss of identity, fandom, et al.) and beginning to write entire books about—what else?—Dark Shadows and all four dozen Dan Curtis productions. First, I reshaped my doctoral dissertation into the Rondo Award-nominated 2009 McFarland book The Television Horrors of Dan Curtis: Dark Shadows, The Night Stalker, and Other Productions, 1966-2006. My 2010 follow-up was House of Dan Curtis: The Television Mysteries of the Dark Shadows Auteur. Now, in 2016, my new book—completing the trilogy of Curtis, as it were—is Nights of Dan Curtis: The Television Epics of the Dark Shadows Auteur: Horror, Western, and War. All three books feature long career-overview chapters in which I write about each Dan Curtis production, in order, from Challenge Golf and The CBS Golf Classic in 1963 to Saving Milly and Our Fathers in 2005. My first book offers more in-depth looks at Curtis’s horror productions (including The Norliss Tapes and Curse of the Black Widow). 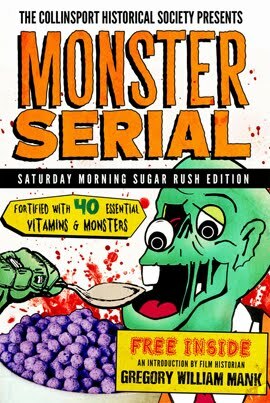 House of Dan Curtis features more detailed examinations of Curtis’s mysteries (e.g. Come Die with Me, Shadow of Fear) and crime dramas (e.g. The Great Ice Rip-Off, The Kansas City Massacre). 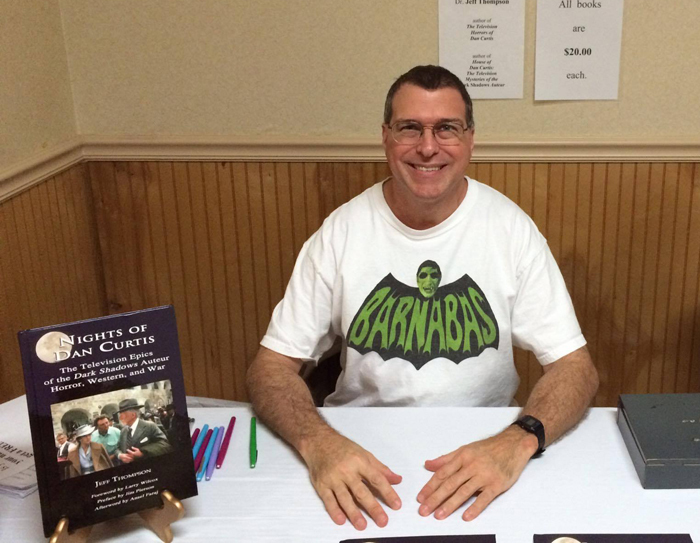 The new Nights of Dan Curtis book devotes whole chapters to Curtis’s epic productions of Dracula, The Last Ride of the Dalton Gang, The Winds of War, and War and Remembrance. I last rewatched the 1991 Dark Shadows in January 2016 (for the 25th anniversary). I last rewatched the original series—one episode every single day—between June 2010 and late 2013. On Monday 27 June 2016 (of course), I shall begin watching Dark Shadows (1966-1971) all over again and once more lose myself in the mysteries of Collinwood. Over the decades, those eerie mysteries have never left my mind and have informed my thinking, my collecting, my traveling, my writing, and even my teaching. Happy 50th anniversary, Dark Shadows! 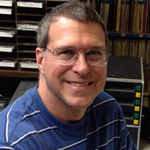 Dr. Jeff Thompson teaches English at Tennessee State University in Nashville. He is the Rondo Award-nominated author of The Television Horrors of Dan Curtis: Dark Shadows, The Night Stalker, and Other Productions, 1966-2006(McFarland, 2009); House of Dan Curtis: The Television Mysteries of the Dark Shadows Auteur (Westview, 2010); and Nights of Dan Curtis: The Television Epics of the Dark Shadows Auteur (Ideas, 2016). He writes about the Gold KeyDark Shadows comic books for Hermes Press. 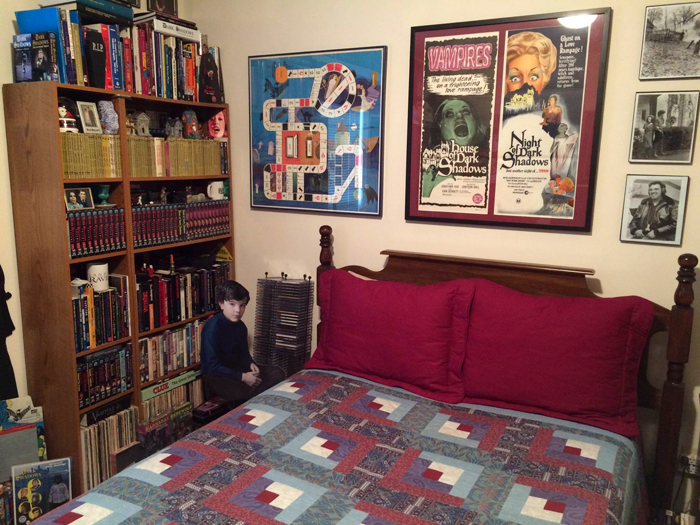 At home, Jeff has a Dark Shadows guest bedroom, aJoan Bennett wall of pictures, and a Psycho bathroom.